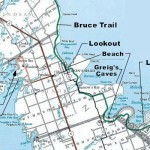 Heron Point is a very private waterfront family setting on Lake Huron and the Beautiful Bruce Peninsula. Fabulous sun sets, swimming and beaches, trails and islands. You will not be disappointed.